Oslin Lumber is a great local source to meet your countertop and cabinet needs! We often hear that our pricing is as good or better than the big boxes on both products. 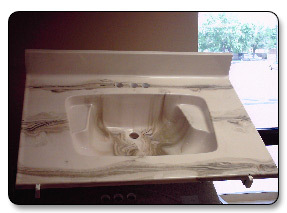 We can get almost any countertop product under the sun, so let us know if you are looking for a custom product. Delivery is available on all of the products that we sell. Need help with edge style or laminate top language? View this link! Give us a call or send an email with any questions!